Home » Apps , Audio , Blogger , Cd-Dvd Burning , CentOS , Compiz Fusion , Data storage , Databases , Debian , Desktop Environment , Docks Manager , Editors Blog , FTP , Hardware , Kubuntu , Linus Torvalds , Linux Live Cd , Ubuntu » Top 10 blog posts for May 2014 from Linuxlandit & The Conqueror Penguin. Top 10 blog posts for May 2014 from Linuxlandit & The Conqueror Penguin. 1.- 14 Apps To Boost Ubuntu. 2.- Install Kubuntu on Windows XP systems. 3.- 10,000 Users of Ubuntu Phone. 4.- Unity 8 on Ubuntu 14.04 “Trusty Tahr”. 5.- Abyss: The Wraiths Of Eden Hidden Object Game Released On Steam For Linux. 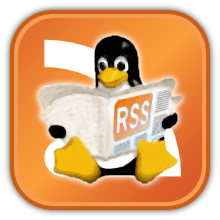 6.- Top 10 blog posts for Aprile 2014 from Linuxlandit & The Conqueror Penguin. 8.- Running Unity 8 on Ubuntu 14.04 and Virtual Box. 9.- Dicelab is a tool to calculate the probability distribution of dice rolling schemes. 10.- CUC³ covers an exceptionally broad range of topics in theoretical and quantum chemistry.